Design Diffusion News (DDN) is a monthly magazine focused on Italian design. Buy a single copy or subscription to Design Diffusion News magazine. 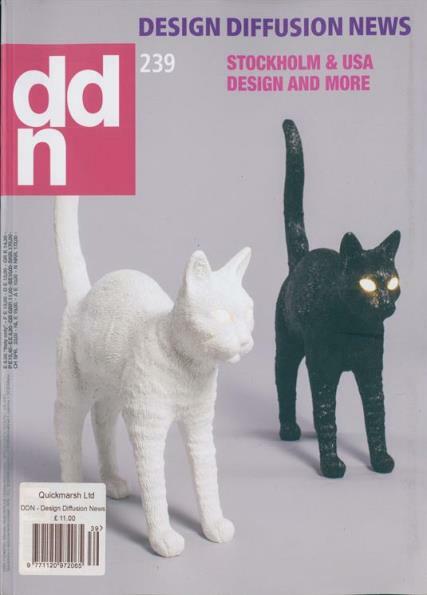 DDN focuses on how Italian design is recognised as the finest in the world, promoting Italian and international design on the global markets. DDN looks at all aspects of the interior design market, also find a product guide for featured items. DDN provides readers with tools to be up-to-date with latest news.